This level has medium difficulty. 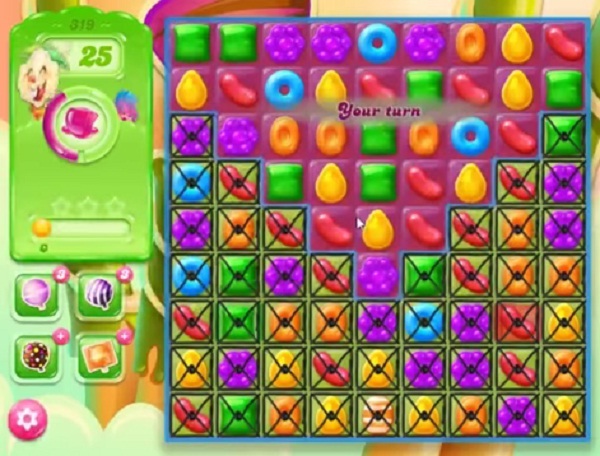 For this level try to play more from top part of the board where more candies are available to play and make special candy as you get the chance. Combine them with each other to spread more jellies then the boss. Pointless waste of time playing against the queen as usual,i know I won’t win for days, these are all the same boring as hell. I have just deleted the application – I never asked to play against the stupid computer. I shall be more discerning when choosing another new game.